A Utah man who is accused of killing his wife on a cruise ship in Alaska was charged with murder on Wednesday, Aug. 16, it was reported. A federal grand jury indicted Kenneth Manzanares in the death of his wife, Kristy, and the indictment was made public Thursday, CBS News reported. 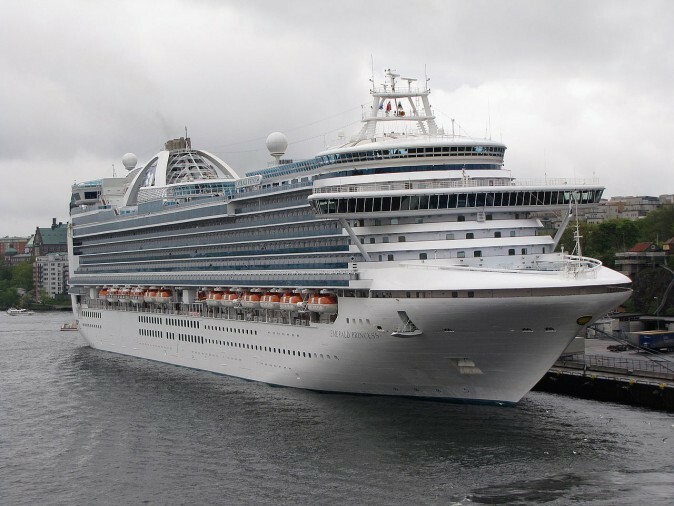 Kristy Manzanares was discovered dead in a cabin last month on a Princess Cruises ship going from Seattle to Alaska. Federal officials said that the death took place in U.S. waters. The 39-year-old from Utah could face life in prison or the death penalty if he’s found guilty in his wife’s slaying. “KM (Kristy Manzanares) had a severe head wound and blood was spread throughout the room on multiple surfaces,” FBI Special Agent Michael Watson wrote in an affidavit, FOX13 in Salt Lake City reported. Witnesses told officials that they went into the cabin and saw blood on his hands and clothes, and they then saw her body on the floor. The witnesses said that he then grabbed her body and tried to carry it to the balcony. Cruise passengers told the FBI that they heard fighting before her death. Some passengers said that a “murder mystery” theme-dinner was taking place when the death occurred, leading some to believe that it was a hoax. An arraignment date was not set for Manzanares. “Our thoughts and prayers are with the family and all those impacted by this tragic event,” Princess Cruises added. The cruise operator later said the rest of the trip was canceled. “Guests who had shore excursions booked for Tracy Arm fjord will have their shipboard folio credited automatically, and prepaid shore excursions will be refunded. Additionally, in light of the impact on guests’ cruise vacations, Princess Cruises has issued each guest a $150 onboard credit,” the cruise line said in a statement, ABC News reported.